When I started my most recent quest to eat better, I was surprised to find an email in my inbox asking if I'd like to review a new book by healthy living expert Pooja Mottl. 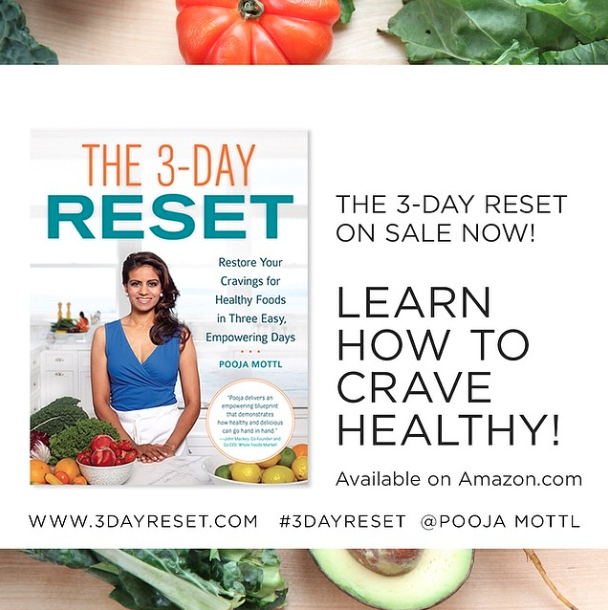 The 3-Day Reset is a wonderful tool meant to help you "Restore Your Cravings For Healthy Foods in Three Easy, Empowering Days." And with a quick glance so far (a full review is forthcoming), if you're in the same spot with craving those healthier eating habits -- this book might also interest you. 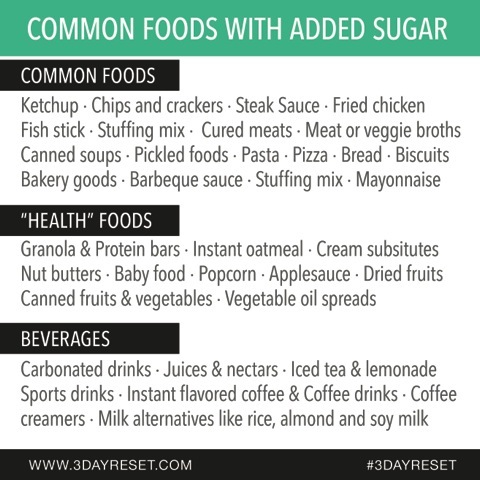 Resets include: sugar, wheat, salt, chocolate, yogurt, chicken, beverages, breakfast, salad, and takeout. The book is packed with delicious recipes and nutritional information to support why you should eat whole foods like quinoa instead of processed, frozen, or packaged foods. Really, it's full of useful reminders for those of us who know what to eat, but sometimes need a little urging in the right direction. Or for those who are totally new to eating this way. Take, for example, this helpful sugars chart. Sugar is in . . . well . . . everything! I love how Pooja's goal is to help readers "enjoy eating the way Mother Nature intended." As much as I try my best to eat whole foods, I do find it easy to slip -- which is why a reset is such a common theme on this blog. So, I'm excited to make my way through this new book and wanted to let you guys know about it. By framing the experience in just three short days, I feel like it's all very doable. Oh, and you can WIN a signed copy of The 3-Day Reset! Simply leave a comment below with the words "RESET ME!" Also tell me a bit about your vice (sugar, salt, carbs, etc.). This giveaway is open to USA/Canada only. I'll need an email address or some other way to contact you if you win! I'll choose the winner on Tuesday, May 13th. For more stops on this book tour, check out this page. And if you'd like to connect with Pooja, you can find her on Facebook, Twitter, and Instagram. * I was given a copy of this book for review purposes. I have not been compensated in any other way. My opinions are my own.